This etching is now hanging in the Harris Family living room in Boone NC. It was 1981, when living alone in Scotland, at the age of 20, I started my (auto)destructive period. This was an Edinburgh wreckyard. A first series of artists was called to participate with their work, each one being able to invite 4 artists each, who, in turn, could invite 3 artists, who could invite 2artists each, creating a series of rhizomes. I decided to bring the OctoTree. This is a final proof. 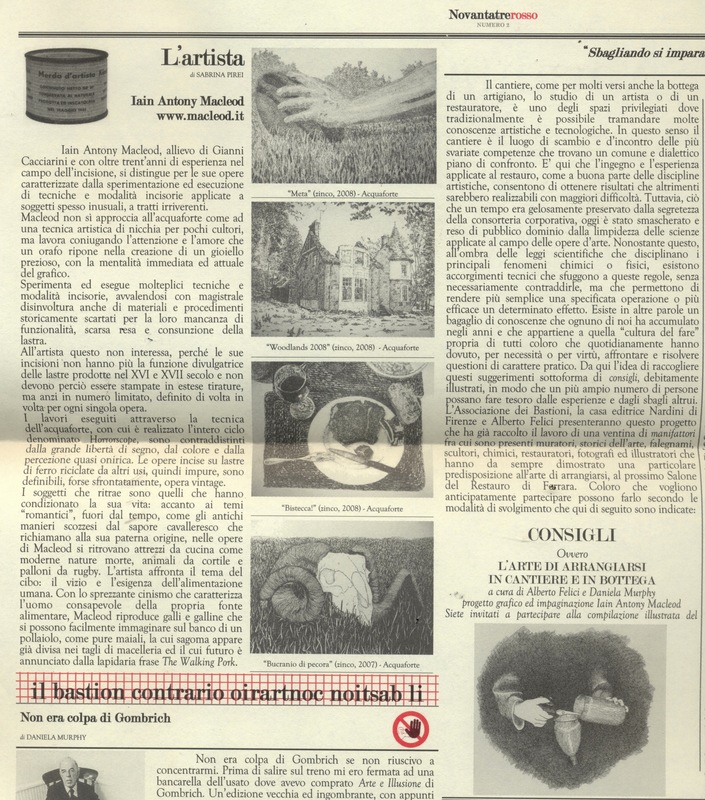 An old article on my work, published on issue nymber 2 of NovantatreRosso, Associazione I Bastioni‘s newsletter, written by Sabrina Pirei.